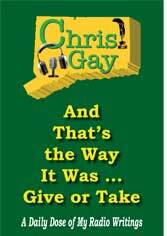 Chris Gay is an author, freelance writer, voice-over artist, broadcaster and actor who writes and broadcasts a daily, minute radio humor spot in Hartford, Connecticut. 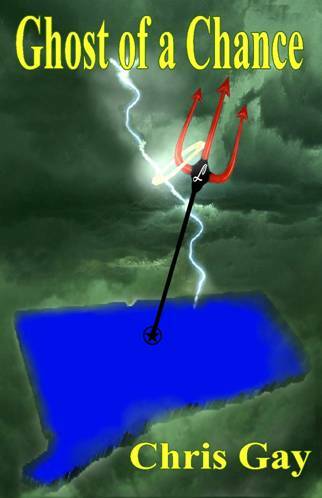 He’s also written the paranormal, theological thriller novel Ghost of a Chance, the novella Sherlock Holmes and the Final Reveal and three humor books: The Bachelor Cookbook: Edible Meals with a Side of Sarcasm, And That’s the Way It Was…Give or Take: A Daily Dose of My Radio Writings and Shouldn’t Ice Cold Beer Be Frozen? My 365 Random Thoughts to Improve Your Life Not One Iota. 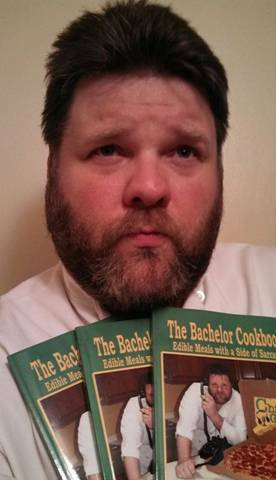 He’s been published nationally in Writer’s Digest and is currently writing three more humor books: Another Round of Ice Cold Beer: My 365 More Random Thoughts to Improve Your Life Not One Iota, Politically Correct Movie Reviews, and Something Witty this Way Comes. 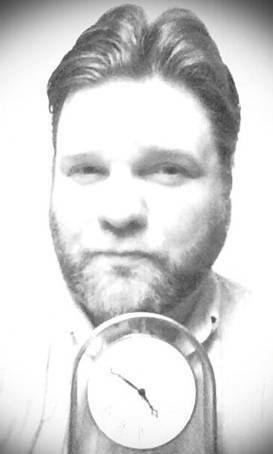 Also, he’s writing the Ghost of a Chance sequel Perdition’s Wrath, and has written and voiced radio commercials, authored both comedic and non-comedic freelance articles, scripts, press releases, website, media and technical content, done occasional radio color commentary for local sports, and acted in a couple of movies and plays. 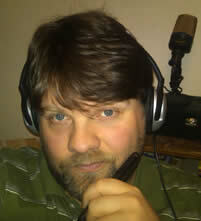 His website is chrisjgay.com, and his humor blog can be found at chrisgay.wordpress.com. 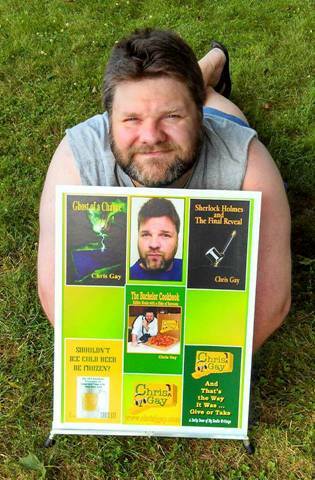 Another Round of Ice Cold Beer’ is a compilation of Connecticut author, writer and broadcaster Chris Gay's best witty, humorous, poignant and sarcastic random thoughts. 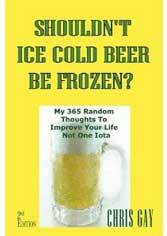 It's a direct sequel to his earlier ‘Shouldn’t Ice Cold Beer be Frozen? 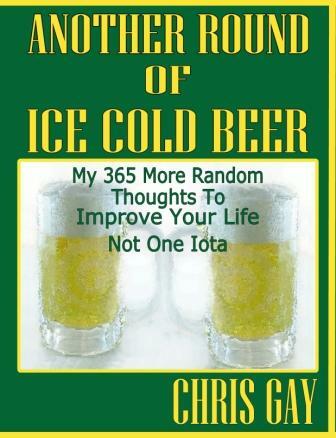 My 365 Random Thoughts to Improve Your Life Not One Iota.’ Like its predecessor, ‘Another Round of Ice Cold Beer’ covers a broad spectrum of observations on such topics as life in general, pop culture, music, movies, politics, sports, television, pet peeves, and much more. 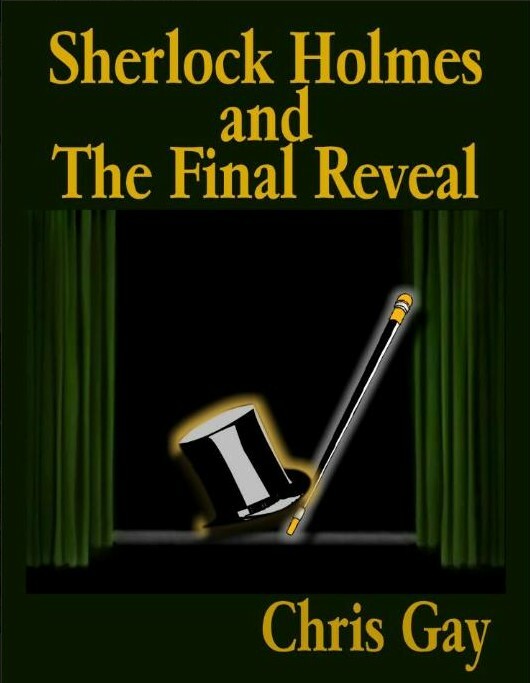 One major difference to note is that while the first book's cover is yellow with green lettering, this book is green with yellow lettering; which together is very eye-catching and a great conversation starter. 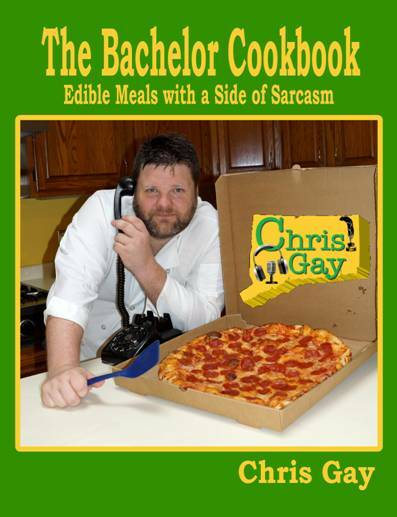 If you enjoy ‘Another Round of Ice Cold Beer,’ be sure to check out Chris Gay’s several other humor and non-humor books, which are conveniently listed in his author biography in hopes of making many more sales.